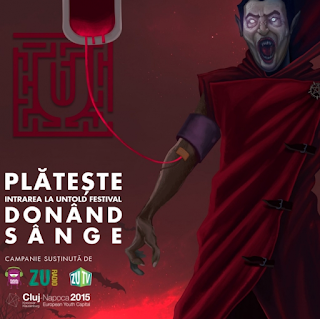 Transylvania-based Untold Music Festival has partnered with Romania's National Blood Transfusion Institute to create a very unusual kind of festival experience. To get into the concert, one must give 2 pints of blood. Why? 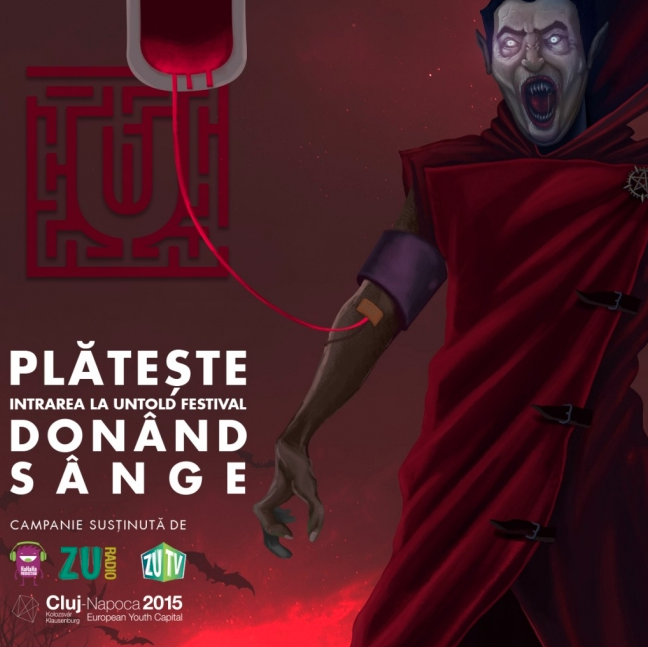 Well here's a fun party fact: Romania happens to be the EU country with the lowest number of blood donors. So with Untold's obvious connection to Dracula and their philanthropic spirit, we give this idea an "A Positive"! Mwah ha ha ha ha!